Grayson and Carroll Counties are in the Blue Ridge Highlands just north of the Piedmont Triad of North Carolina. The stunning beauty of these counties is beyond compare. The pristine New River, the Blue Ridge Parkway, and many other parks and trails provide plentiful outdoor activities and breath-taking scenery. These counties are very rural and the views are incredible. With small town atmospheres and a strong economy, the “Twin Counties” are a great place to live, work and/or retire. 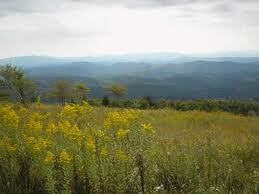 The area contains the two highest peaks in Virginia. The business climate is strong and diverse. Both Grayson and Carroll boast about how their residents work together to make their counties a better place to live and work. Enjoy four distinct seasons – especially the red and gold extravaganza of fall color. Galax and Hillsville are the major towns, along with several other smaller communities. There are many flea markets and music festivals throughout the year. If you’re interested in Grayson and Carroll Counties and you are looking for a recreational/hobby farm, a home with acreage, a rural land tract to build your dream home, or a great home in one of these southern Virginia small communities, call Virginia Farms & Homes. Listing and selling properties like these is our specialty and niche. Give us a call.